← Is it a heresy to believe that the Pope is always infallible? This infallible teaching of two Councils is being ignored and contradicted by many Scripture scholars today. 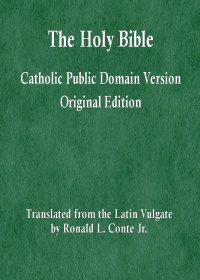 The teaching of Vatican I and of Trent is that all the parts of all the book found in the old Latin Vulgate edition are sacred and canonical. Yet scholars today have deleted very many words, phrases, even whole verses from Scripture (or relegated these to footnotes) even though these are found in the Old Latin Vulgate. It is not the role of Scripture scholars to decide the canonicity of words, phrases, and verses. If it is in the old Latin Vulgate, then it should be in every translation, version and edition. 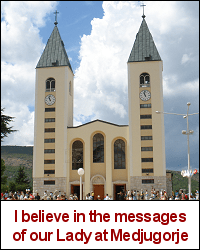 Many modern-day editions of the Bible have omitted numerous words, phrases, and more than a few whole verses, found in the old Latin Vulgate, in contradiction to this teaching of the Council of Trent and of the First Vatican Council. This is an example of modern scholarship being used to contradict the definitive teaching of the Magisterium. In effect, these scholars are determining canonicity by these omissions. And the approval for these editions of the Bible, from the temporal authority of the Church, does not constitute a definitive teaching of the Magisterium on canonicity. The Magisterium has already infallibly (in two Councils) determined canonicity not only of the books, but of the parts of the books. This entry was posted in heresies, Scripture. Bookmark the permalink.